The rains have finally arrived, and Mother Nature has been making up for them being late in coming. We’ve had more than a few downpours lately, including a 24-hour steady, soaking rain. The Mekong has risen swiftly, but is in no danger of flooding in our area, yet, but warnings have been issued for low-lying areas in other provinces. Of course, the rice farmers are happy that they can plant their crops now with the drought of June and early July broken. 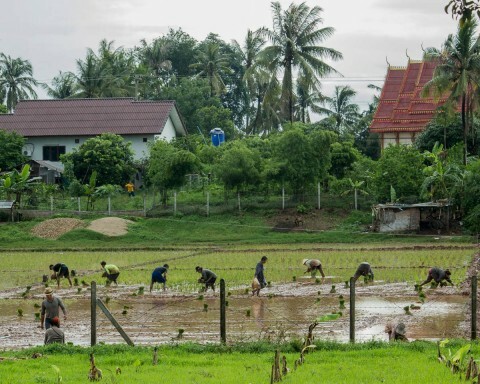 Here at the New Place, the neighbors put in their rice this past Saturday, plowing the fields and doing the back-breaking labor of planting the new rice stalks in the ground. Here are a few photos I took of the process. 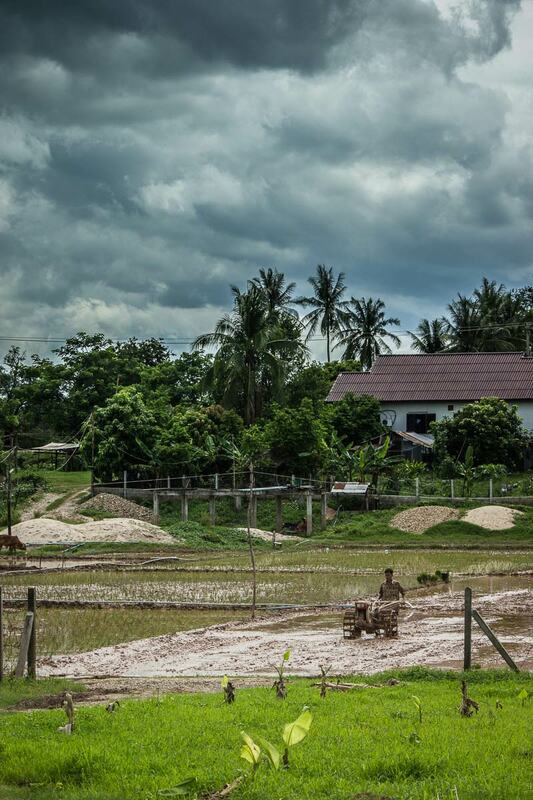 Our neighbor is using a motorized, hand-pushed plow, common in Laos, to prepare the rice field. They inundated the field before plowing, and then went over it at least a dozen times with the plow. 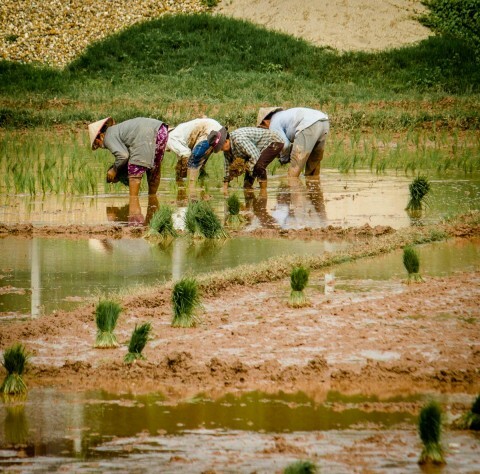 The field takes on the consistency of a thick soup before the planting begins. Quite muddy, hard labor, obviously. Under threatening skies, our farmer neighbor continues to plow. Later, there was a heavy rainfall while the others were planting the rice. After the plowing, these women plant the first of the fields, a back-breaking task, it appears. This is real stoop labor. They were able to get this field in before the rain began. Later, the ladies had more help from the entire extended family. With this many people, the work gets finished much more quickly.